First and foremost, Thomas LaRock (@sqlrockstar) and David Klee from Heraflux are presenting a session called “VAPP4696 – Will It Blend and Scale? 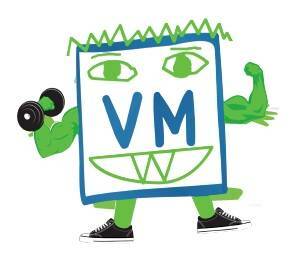 Monster Database Virtualization Techniques“. In this session, they will discuss and demonstrate why virtual database servers (SQL Server and Oracle included) are some of the largest resource consumers in your virtual environment, why performance-oriented engineering matters more here than ever, and show ways to help boost your database performance to beyond that of their physical counterparts. STO4544 – Using Virtual SAN to Maximize Database Performance by Rawlinson Rivera and Thomas LaRock. We urge you to attend all of these sessions if you can. Virtualized databases are arguably the toughest challenge in your virtual infrastructure, and the business depends on you getting it right. These sessions can help you get there!